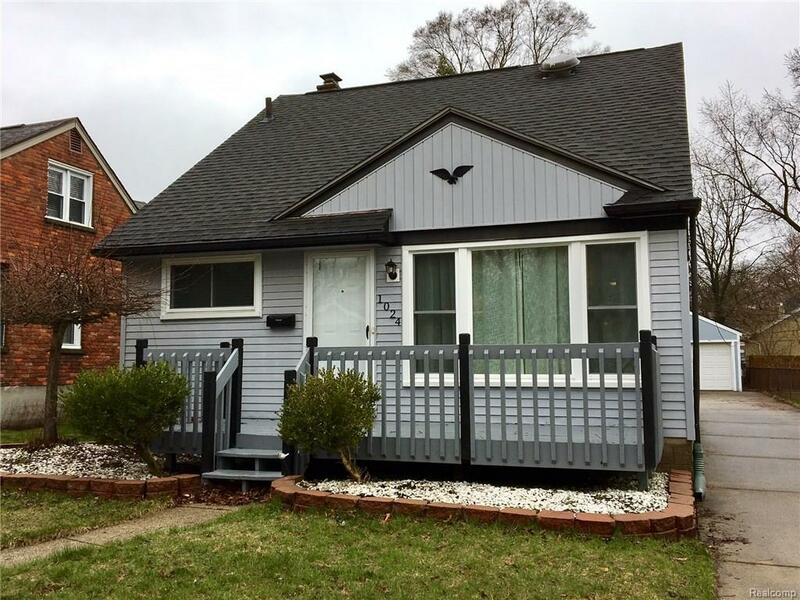 Live large in this spacious Royal Oak bungalow near downtown. Relax on the front porch, enter into a vibrant environment, LR w/ custom shelves, that opens to a beautifully renovated kitchen w/ granite counters & awesome storage & work areas. Family room w/ nat. fireplace & vaulted ceiling. Each floor has 2 bedrooms & a full bath (4 bedroom/2 bath total). The basement is like a loft w/ finished space & separate work/laundry room. There is a 500+ sq. ft deck, nice yard, & 2 car garage. Walk to town & Make Home Here.